Picked up these items earlier this year. 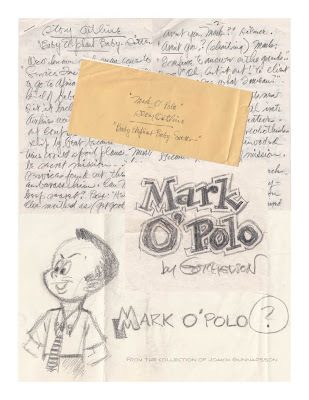 The lot included the following items: a sketch of the main character Mark O'Polo, a penciled logotype and a five page plot titled "Baby Elephant Baby-Sitter" stuffed in a envelope. 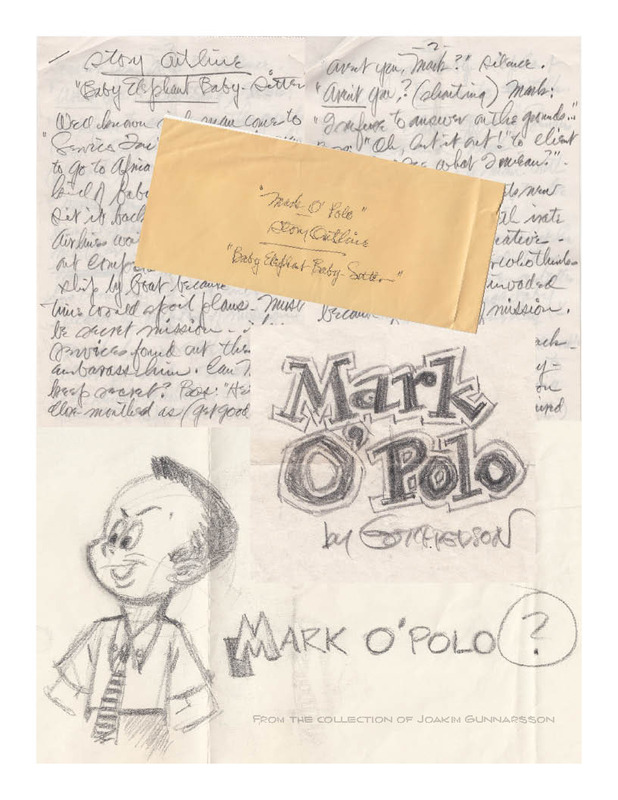 Has anyone ever seen a finished or even pencilled Mark O'Polo daily? 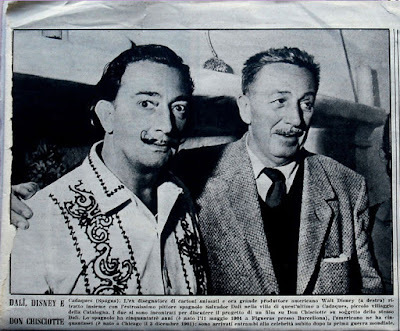 As a follow up to Michael Barrier's recent "Walt's 110th" post, here's a newspaper photo that I caught on eBay. Enjoy! 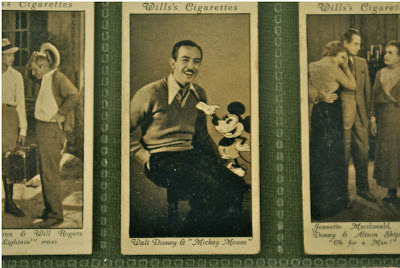 This piece of Carl Barks art recently surfaced at auction. 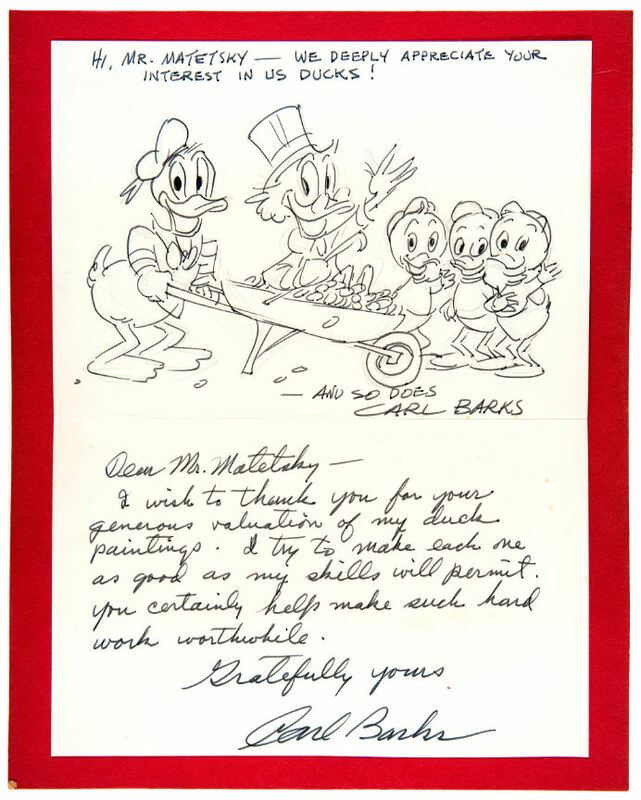 Handwritten text at top “Hi, Mr. Matetsky-We Deeply Appreciate Your Interest In Us Ducks!” with additional text just below scene “-And So Does Carl Barks”. 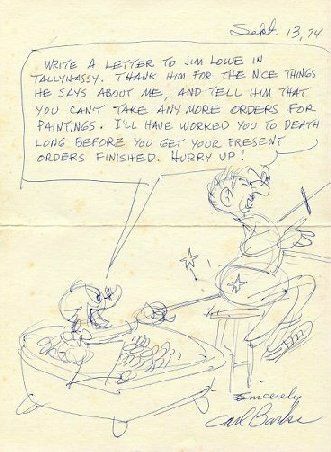 Handwritten text on bottom half reads “Dear Mr. Matetsky-I Wish To Thank You For Your Generous Valuation Of My Duck Paintings. I Try To Make Each One As Good As My Skills Will Permit. You Certainly Make Such Hard Work Worthwhile. 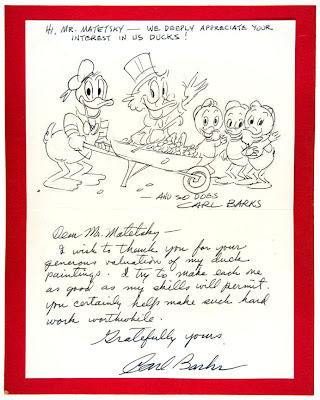 Gratefully Yours, Carl Barks”. 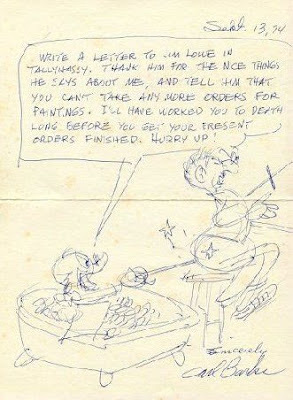 Bob Pistella got another nice letter drawing in his comicartfans gallery. Click HERE to see it. 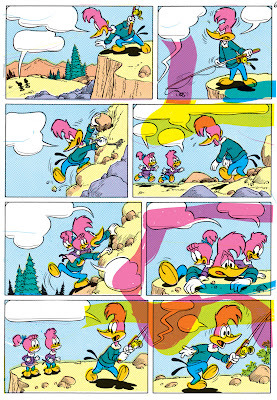 Located a set of black and white proofs for the New Funnies #266 Woody Woodpecker story yesterday. 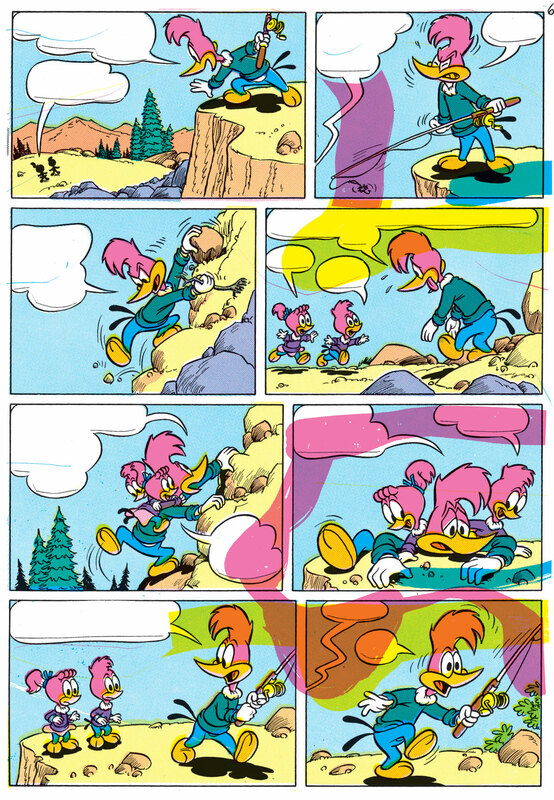 With the old Western publishing coloring still intact! (On separate sheets.) 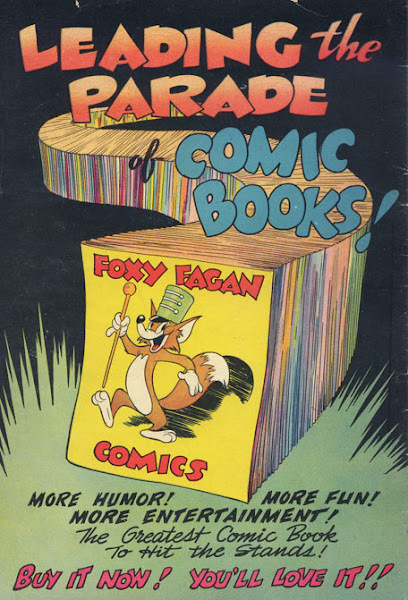 Sadly the lettering was missing, but all of the nice Paul Murry art was still there. It's nice that stuff like this still turns up now and then, don't ya think? Just an ordinary day at work at Egmont. Bamse is having a coffee break, reading the latest issue of his comic book. That issue got some press coverage in Arbetarbladet. We happened to do a story about how a giant christmas goat was burned. the christmas goat in Gävle burned. I just have to share this scan of a wonderful gouache by Tove Jansson, featuring "Lilla My" and a pair of "Filifjonkor". 1950's? 1960's? Anyone who knows were this was published? I don't think I've seen it before. 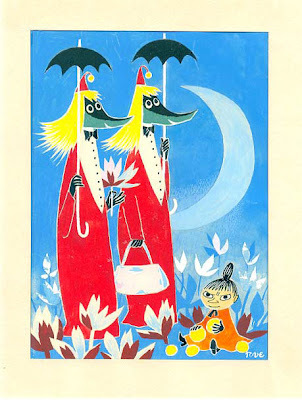 It's currently for sale at Seriegalleriet in Stockholm. If you got 135.000 sek to spare, my advice is that you go ahead and buy it. Update: The piece is now sold! Congratulations to the buyers. It's a real gem!